At the beginning of the war, Guy’s chief engineer went to Mersa Matruh in North Africa to see the Guy armoured vehicles in operation in the North Africa Campaign. The vehicles performed well and gave good service. Many Guy military vehicles travelled to Dover, at the beginning of the war. They were taken to France for use by the British troops. When the country was invaded by the Germans, and the allied troops were evacuated in May 1940, the vehicles, like many others, were driven over the cliffs to prevent them falling into the hands of the enemy. Shortly after the start of the war, production of the ‘Ant’ and ‘Quad Ant’ range moved to Karrier. Guy did however, produce some armoured bodies. 21 Guy ‘Lizard’ armoured command vehicles were produced in the factory, as were several 4x4 universal gun carriers. 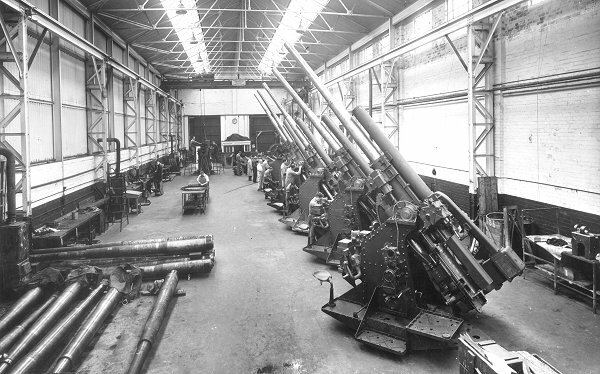 The factory also produced anti-aircraft, and other guns thanks to the company’s reputation for high quality, precision work. Part of the gun shop. 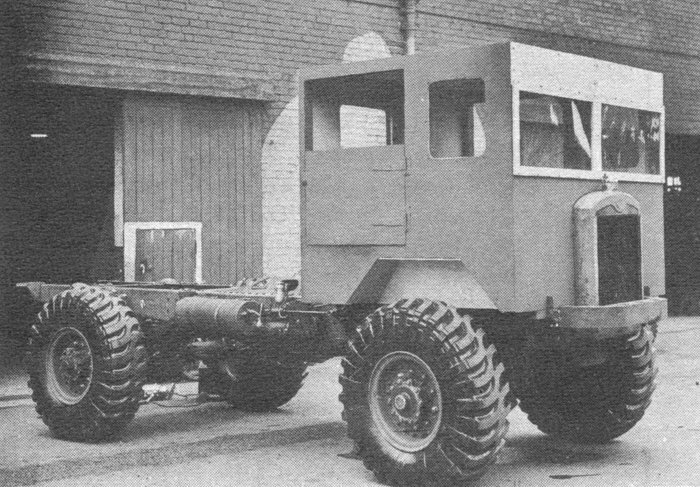 Production of searchlight generator vehicles soon ended due to the development of radar. 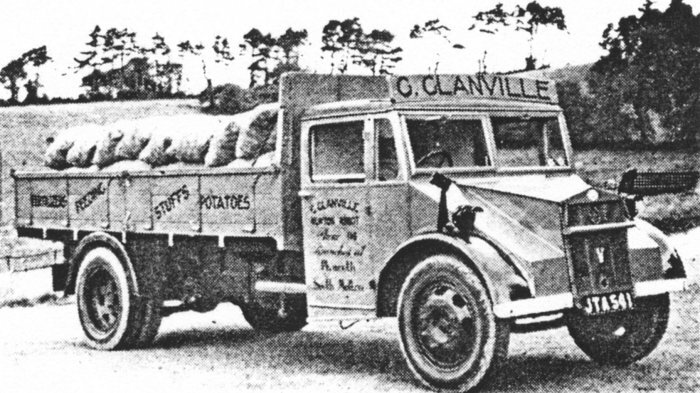 Some civilian vehicle production did take place at Park Lane due to a shortage of vans and lorries for essential services and supplies. Each vehicle required a government permit in order for it to be built. The 'Vix-Ant' introduced for civilian operators in 1941. Courtesy of Brendan Kinsella. A medium wheelbase Guy 'Vix-Ant' lorry. The vehicles consisted of special versions of the ‘Vix-Ant’, powered by a Meadows 3.7 litre, 4-cylinder petrol engine, with a 4 speed gearbox. The vehicles were built with both long, medium, and short wheelbases. 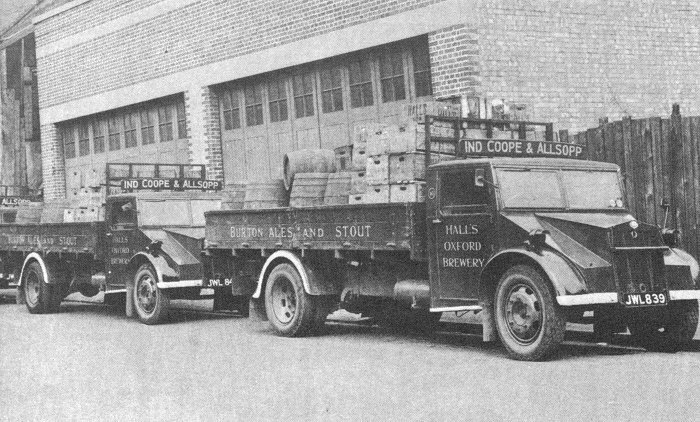 Two 'Vix-Ant' lorries that were used to deliver beer and stout. A 'Quad-Ant' tractor in France. One of six experimental 4-wheel drive WD vehicles built at the beginning of W.W.2. 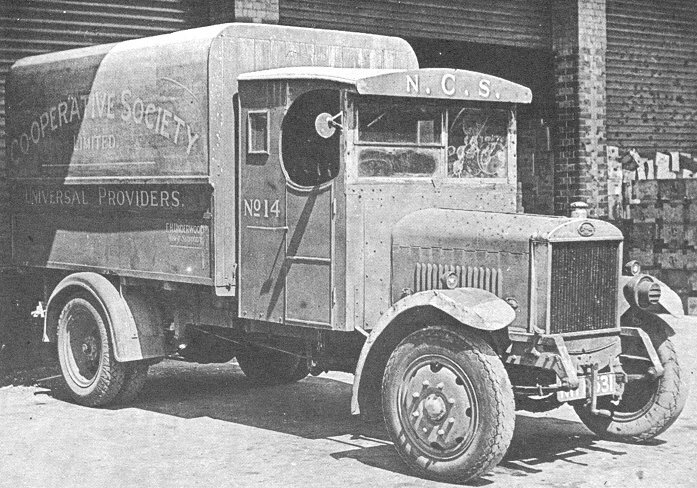 Around the same time as production of searchlight generators ended, Guy received an order from the Ministry of Transport for the production of a chassis suitable for a use with a double decker bus body. At the time there was a severe shortage of buses, many of which had been lost in the blitz. The specification had been completed on 5th September, 1941, and the prototype was ready on 31st March, 1942. The new vehicle, called the ‘Arab’ utility double decker bus was based on the original ‘Arab’ bus chassis from 1933. Due to the shortage of materials, the aluminium parts were made of cast iron, which increased the chassis weight by 20%. Great attention was paid to increasing the life of components, and the time between vehicle overhauls. The new bus gained favour with many operators because of its reliability and low running costs. Over 2,700 were built during the war. The orders not only kept Guy going during the war, but also established the company as one of the leading suppliers of bus chassis, which led to the continuation of orders for many years to come. A fleet of 'Arab' utility buses. During the war the factory worked long hours to keep up with the demand for vehicles and components. Employees worked from 8 a.m. until 8 p.m. on weekdays, 8 a.m. until 4.30 p.m. on Saturdays, and 8 a.m. until 12.30 p.m. on Sundays. There was a severe shortage of labour, which was solved by the company in a manner that made history, and changed the law. At the time, part-time workers were not eligible for national insurance, and so would not look for work through the labour exchange. 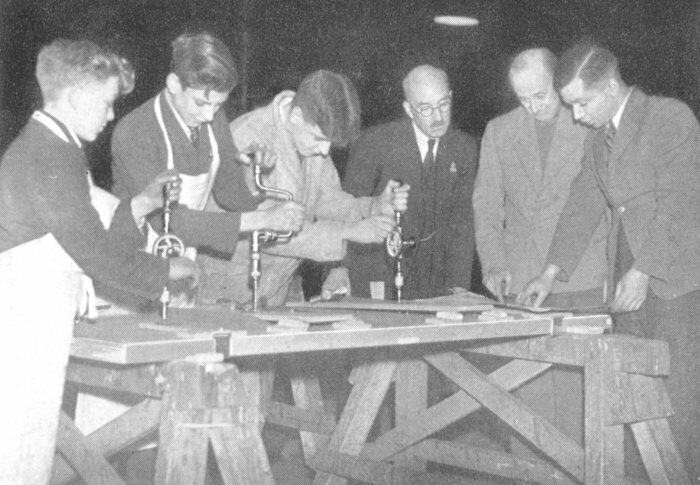 The late Judge Caporn and schoolboy volunteers at work in the body shop. As a result Sydney Guy instigated a scheme which resulted in him being threatened with imprisonment and fines. Fortunately the Ministry of Employment quickly realised that such a scheme was a necessity, and so similar schemes were set up throughout the country. Guy gave senior pupils and teachers from local schools, the opportunity of doing voluntary war work during their holidays. They were employed on the assembly jigs for the bodies of army trucks. Over 1,000 people answered the initial advertisement. The response was so great that a separate department was set up to organise the scheme. When the pupils and teachers were at school, part-time women workers took their place during the day, with business and professional men, doing a night shift. One of the first, and most enthusiastic volunteers was Judge Caporn, a County Court Judge. Guy Motors participated in the National Savings Scheme, and Sydney Guy gave six pence on each certificate purchased. The company also produced its own I.D. card with photo and finger prints on the back. 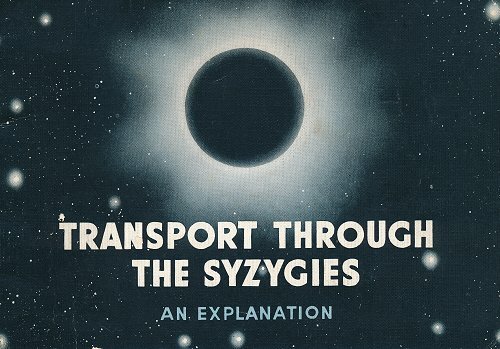 A booklet produced as an advert, and an explanation of the 'Syzygies' name. During the war the scope of advertising was greatly restricted, and so Guy started a clever campaign in order to keep the company’s name alive. The campaign was influenced by the widespread interest in crosswords, and the ‘Brains Trust’ on the radio, which provided relief from the problems of war. It consisted of a series of clever adverts entitled ‘Transport through the Syzygies’ which gained a lot of interest. People at first thought ‘syzygies’ was a spelling mistake, until it appeared time, after time. Guy received many letters from people expressing their ideas about the word, which was in fact used in its astronomical sense, meaning a computation of time. With the production of many thousands of military vehicles of several successful types, and over 2,000 war-time bus chassis to their credit, Guy Motors Limited, Wolverhampton, have, in the opinion of their chairman and managing director, Mr. Sydney S. Guy made two important contributions to the nation’s war effort, in addition to their main production activity. The first was concerned with the welding of bullet-proof armour plate for armoured cars and tanks; the other with the introduction of part-time workers into industry. For over 20 years the company has paid much attention to vehicles for military purposes and has produced many types. When expenditure on the army reached very low levels, and military were ordered in such small quantities that they could not be produced profitably, Guy Motors designed and developed military types largely at their own expense, and during the 14 years up to 1937 produced 14 different types. Very shortly after the war started, Guy vehicles or proved quality were available for military duty in large numbers, and the supply has been steadily maintained ever since. One of the most successful types has been the Quad Ant, a four-wheel drive vehicle developed from an earlier model. It has been adapted for a number of uses, notably as an artillery tractor. It was on a variety of this type, with the engine at the rear, that the first British armoured car body of all welded, bullet-proof, armour-plated construction was mounted. Convincing others that welding was better than riveting for this purpose was not easy, but now the system is widely applied, not only to armoured car bodies, but also to tanks. As early as 1940 details of the method were sent to America, and though there may be no connection, it was reported not long after that the first American tanks with welded hulls were coming off the line. 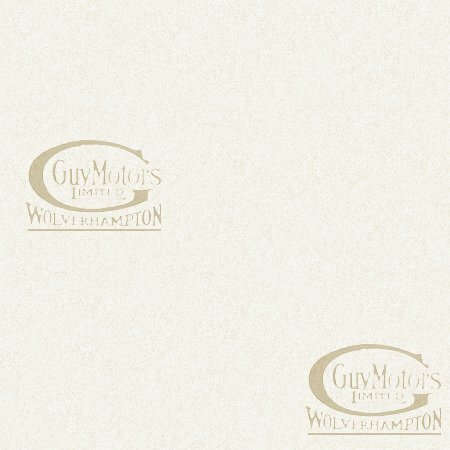 Guy Motors have produced a considerable number of armoured cars of their own design, and have recently been producing hulls for the Humber armoured car. Mr. Guy is equally proud of the part the firm played introducing the extensive use of part-time labour into war factories. It was found that many professional and business men were not only able, but anxious to devote their evenings to factory work, and that many women were prepared to work part-time during the day. Special arrangement of working hours was made for them, and in a very short time the firm had more applicants than they could place. It seemed, however, that the law did not provide for the employment of part-time workers, and the Ministry of Labour pointed out that Mr. Guy was in danger of very severe penalties, both fines and imprisonment. A stand was made, but at one time it seemed that the part-time work would have to be abandoned. The law was changed soon afterwards and subsequently part-time work for some categories became compulsory. 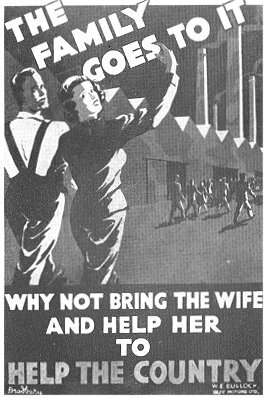 The achievement of part-time workers in the factory has been considerable, and many of the women who started in this way have switched over to full-time employment. They, and other women have proved outstandingly successful at a wide variety of jobs in the factory. In 1942 It was found that buses would have to be produced to enable transport organisations to cope with the huge task of carrying workers to their work, and as sufficient military lorries of a type Guy Motors were producing had been made, they were switched over to making bus chassis. 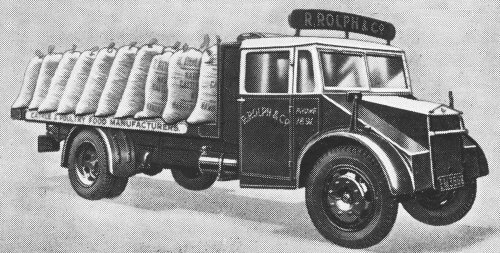 Although of Guy design, the wartime chassis had to conform to Ministry of War Transport specifications and the materials used were not always exactly what the company would have wished, resulting in the chassis being heavier than its pre-war equivalent. Over 2,000 war-time chassis have been produced in about two and a half years. In addition to their production effort, Guy Motors have reconditioned large numbers of engines and have continued to supply spare parts which kept vehicles in service. The stores department has recently supplied from stock, spares for vehicles 22 years old. A 30 cwt. van built in 1921. Photographed during World War Two. Another view of the 30 cwt. 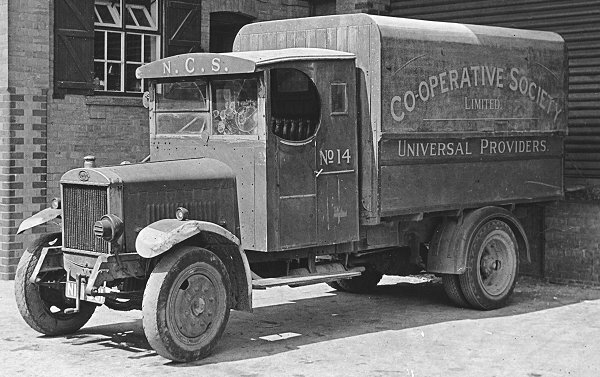 van from 1921.